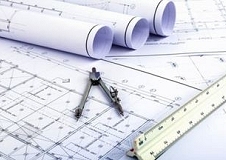 Projects are an important part of our business besides instrument sales and servicing. Over the last couple of years we completed several larger and specialist projects, all with their own specific design criteria. Our role is management and implementation of the systems inclusive draft and design work. 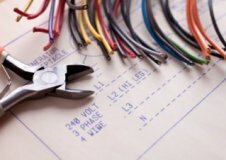 Installation is carried out by one of our contractors, or should the customer request, with assistance of their nominated contractor. We collaborate with the client during all stages of the project and liaise with other trades to ensure the system will fully delivered at the completion date. Below a selection of projects we completed recently – most of our works can be found within the medical, education and pharmaceutical industry. Barwon Health is Victoria’s largest regional health service, providing for more than 450,000 people in Geelong and South Western Victoria. The GCEID network is a partnership between the City of Greater Geelong (CoGG), Deakin University, Barwon Health and CSIRO. The GCEID is housed at the Teaching, Training & Research (TTR) building, opposite the Geelong Hospital. As part of the work, a gas detection system for carbon dioxide, oxygen and flammable gases was installed throughout the laboratories and Cryo store consisting out of approx. 22 detection points and 3 control units inclusive lift car sensors for oxygen and carbon dioxide. 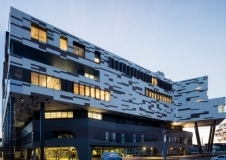 Mercy Health Hospital Stage 1C development consisted out of the expansion of the existing stage 1A Catherine McAuley building and includes operating theatres and a critical care unit. In addition, the project comprises the construction of a 5 storey open deck carpark as well as back of house refurbishment and expansion works. Noventis supplied and installed an Oxygen detection system within the Operating Theatres on behalf of Ellis Air, the nominated mechanical contractor for that project. The oxygen detection system has been interfaced with the DDC and monitors against Asphyxiant gases which are very common in laboratories and operating theatres. 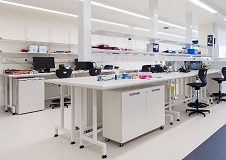 The scope of this project located at DSTO Fishermans Bend includes multiple deciplines with varying requirements and functions; security upgrade for the whole site, a complex program of functional laboratories, special task groups and office facilities. Upgrade of an existing Chemical Lab to Toxic Suite capability, a new Counter-Terrorism facility, operational Support facility and PC2 & PC3 laboratories. A gas detection system was installed at the PC2 and PC3 laboratories to protect occupants against the various hazardous gases used in those areas. Especially the PC3 lab requirements required strict guidelines in regards to equipment and installation. 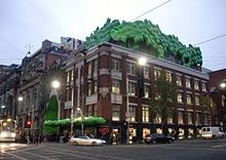 Noventis completed several smaller and larger projects at the RMIT University over the last couple of years. Most recent project was RMIT Building 5 Level 2 ECP Laboratory which involved detection of Oxygen, Carbon dioxide and Hydrogen. The controller consisted out the Noventis Cesar, fitted with three 8 channels controller cards with CAN bus option. The controller not only controls the security alarms, but also controls the gas solenoids for Nitrogen, Hydrogen and Carbon Dioxide. For enhanced aesthetics, the the display was flush mount fitted whilst the actual controller was located in the electrical cupboard. Noventis provided a turn-key solution inclusive installation and commissioning of the system. The Biomedical Learning and Teaching Building (BLTB) will provide the School of Medicine, Nursing and Health Sciences with expanded and contemporary facilities for the teaching of biomedical sciences. 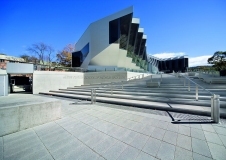 The building is located at the South-West corner of the Clayton Campus of Monash University. The building has 5 occupied levels, with access from lower ground and ground levels. Throughout the building and on each floor, a range of oxygen, carbon dioxide and flammable gas detection was installed each floor with their dedicated floor control panel. This system featured a high level interface (HLI) towards the BMS for alarm logging and installation of oxygen, toxic and flammable gas detection in both lift cars and lift pits and was completed late 2018. 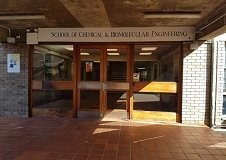 The School of Chemical and Biomolecular Engineering offered Australia's first university-level chemical engineering program. Chemical and biomolecular engineering is a diverse and exciting field where you could find yourself creating life-saving medicines, advancing fuel cell research, or developing the next big food item to hit grocery store shelves. Research and academia applications can have a range of gases which require continuous monitoring such as natural gas, oxygen and carbon dioxide. 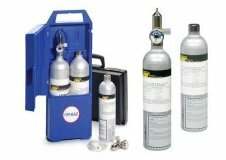 To mimic the risks associated with Asphyxiant gases, a gas detection system was installed and delivered by Noventis. The installation consists out of various oxygen and carbon dioxide detectors connected to a local control panel. The university requested an option which considered the short term of the installation since the building is scheduled for renovations within the next couple of years. 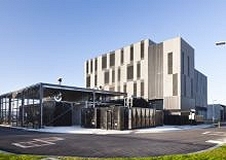 This project includes the deployment of two data centre facilities located in Tullamarine and Mount Waverley. The ANZ Data Centre project involved a high security facility upgrade with demolition works, construction and installation of new CRAC units, structural steel platforms, roof walkways, fire rated partitions and epoxy floors. The works were undertaken in a highly sensitive environment that required clear and consistent communication with the client to ensure operations were not disturbed. Noventis supplied and installed a liquid (water) leak detection system within the server room. The system allows for quick and accurate leak detection and indicates the exact location of any possible leak. The system is connected via high level interface (HLI) towards the SCADA system. 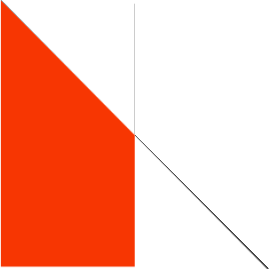 (delivered 2016 & 2017). 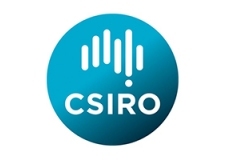 CSIRO’s Biomedical Materials Translational Facility (BMTF) helps medtech companies turn new discoveries into market ready products. It contains much of the equipment needed to develop a product though scale-up, prototyping, pre-clinical testing and industry evaluation. 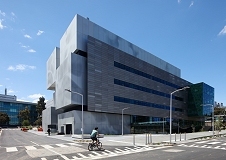 The Biomedical Materials Translational Facility (BMTF) is located at CSIRO Building 201, Clayton. An existing office was refurbished to become laboratory. The work includes provision of new gas detection within the PC2 laboratory as well as Wet Chemistry Laboratory, ISO 7 Clean Room and Furnace room. Each room was provided with its own control panel which reports back to the DCC should any alarm occur. The control panels were all flush mounted and consisted out the Bieler + Lang GMC 8022 Dual Channel Controller. The Research School of Physics and Engineering (RSPE) represents Australia's largest university based research and teaching activity in the physics discipline. 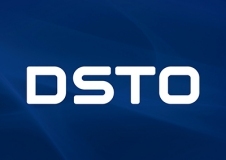 The School is home to a number of major national facilities such as Australia's largest accelerator and the H1-NF National Stellarator Facility. Hundreds of academics, technical staff and students form the School's greatest asset, its people. 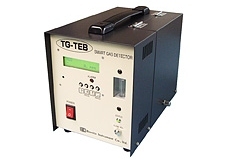 A lab gas detection system was installed within the laser test room and Helium laboratory. The system consists out two Bieler + Lang two channel controllers and the Noventis Microsense gas detectors and replaced the existing retired gas detection system. The detection system allows for isolation of the gas supplies directly from the control panel as well as activation of audible visual alarms and signals to the BMS.